What began as the effort of Weld County mayors to oppose a 2,500-foot setback ballot measure has mushroomed into a statewide coalition of more than 40 mayors, including top officials from all ten of the state’s largest municipalities, to defeat a proposition they call “morally wrong” and “too extreme” for their communities. Spearheading that effort—Mayors Against Proposition 112 or MAP112—Johnstown Mayor Scott K James said, was a matter of principle and critical to protecting his community. James said he realized he needed to act while he mowed his lawn and had to remove and replace his “I am Oil and Gas” yard sign. Weld County leads the state with approximately 90 percent of the oil produced and nearly 40 percent of the state’s natural gas output. 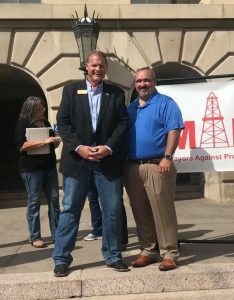 “With last evening’s addition of Westminster Mayor Herb Atchison, the mayors of Colorado’s ten largest cities are members of MAP112,” James told Western Wire. James said Fort Collins Mayor Wade Troxell was the first to ask to join as a non-Weld County mayor. “There’s no reason MAP112 should stay just in Weld County,” James said. In less than two weeks the number of mayors grew three-fold and now stands at more than forty mayors from across the state. The list of 42 Colorado mayors includes Arvada Mayor Marc Williams, Aurora Mayor Bob LeGare, Centennial Mayor Stephanie Piko, Colorado Springs Mayor John Suthers, Denver Mayor Michael Hancock, Fort Collins Mayor Wade Troxell, Greeley Mayor John Gates (12th), Lakewood Mayor Adam Paul, Pueblo Council President Chris Nicoll, Thornton Mayor Heidi Williams, and Atchison. “I’m a mayor, I ought to be able to do something about this,” James said. He then reached out to Greeley Mayor John Gates, a close friend, and they discussed the proper role of mayors and their place in the community. “If a mayor is a good mayor, and that mayor sticks up for the members of his community—he does what’s right for the business community, he does what’s right for the citizens of that community—it’s my job as mayor to defend the best interests of the businesses and the citizens of Johnstown,” James argued. Out of that conversation, according to James, sprang the idea to build a consortium of Weld County mayors to oppose the ballot measure. With more than a dozen mayors on board, James organized a rally that drew hundreds of people, mostly through social media. Fifteen mayors represent Weld County municipalities, but the broad geographical and political diversity indicate a passionate interest from concerned mayors throughout the state worried about Proposition 112’s economic impact, James said. That includes former mayors, like former Evans Mayor Lyle Achziger and former Denver Mayor and prominent Democrat Wellington Webb. “Between now and the election, we’ll just continue to talk to anyone who will listen,” James said, with plans for door-knocking, educational events, and a few more rallies. According to James, educating the public on the impact of Proposition 112, from education and economy to basic municipal services, is an important effort as the election draws near. James estimated that the Weld County School District RE-5J that is shared by Johnstown and neighboring Milliken has 55 percent of its valuation in oil and gas. “That right there should say something,” James added. “We know inherently that it’s going to affect businesses. And if businesses are turning in less sales taxes then less revenue is coming into municipal coffers. If the demand for housing goes down then the valuation of houses goes down, and less property tax comes into the city coffers,” James said. “It’s a chain reaction that I don’t want to experience,” he added. James said Johnstown would be “foolish” to begin the budgeting process for 2019 and project revenues without considering the effect of Proposition 112. “We will cut our revenue projections for 2019 just to gird ourselves against the measure,” he said. As mayors and other public officials have examined the ballot’s language, more are concluding in a phrase common to many of their public statements that Proposition 112’s outcome would be “too extreme” for their city and for the state. Gates, Mayor of Greeley, the 12th largest municipality in the state and the epicenter of Weld County, helped James organize and launch the group. The Greeley City Council voted 6-1 on October 2 to oppose Proposition 112. 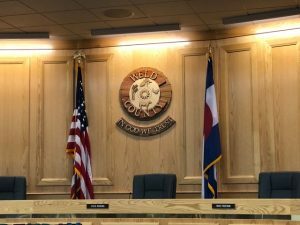 On September 17, Weld County Commissioners voted unanimously, 5-0, to oppose the ballot measure. Williams is a member of MAP112. Another member of Thornton’s City Council, Democrat Jacque Phillips, further explained why she opposed the ballot measure. James echoed the importance of recognizing the interconnected nature of the state’s economy, and that Proposition 112 would not just pose issues of concern for communities closer to oil and gas development but would be felt statewide. A study by Common Sense Policy Roundtable found that more than three-fourths of the job losses resulting from the passage of Proposition 112 would not come from the oil and gas industry but from indirect effects on sectors like retail trade (11 percent), health care (8 percent), construction (7 percent), and accommodation and food services (6 percent). 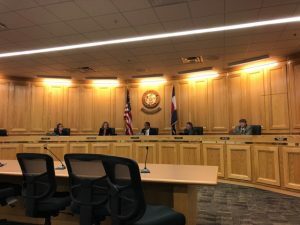 Loren Furman, Senior Vice President of State and Federal Relations for the Colorado Association of Commerce and Industry said Proposition 112 would affect all Coloradans. In mid-September a group of more than 30 civic and business groups organized by Vital for Colorado, including the Denver Metro Chamber of Commerce, Club 20, the Colorado Association of Commerce and Industry, the Colorado Municipal League, and the Colorado chapter of the National Federation of Independent Business, joined forces to defeat Proposition 112. James said MAP112 was planning to hold a rally on October 16th at noon on the west steps of the Colorado Capitol.